If you have only one day, and it's a sunny one, you gotta make it to the top of Schilthorn. And if you think you can't handle the climb (Close to 5 hours on average, counting lunch, breaks and photo stops on the way), we highly recommend you take a gondola, even though it's somewhat expensive, and then perhaps descent on your own and save money on that. 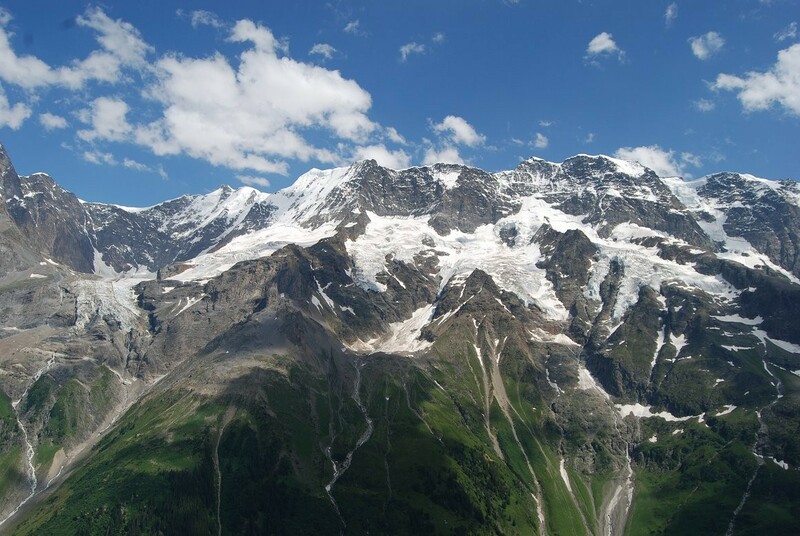 For many people the views from the top of Schilthorn is the best natural scenery they will see in their lifetime. 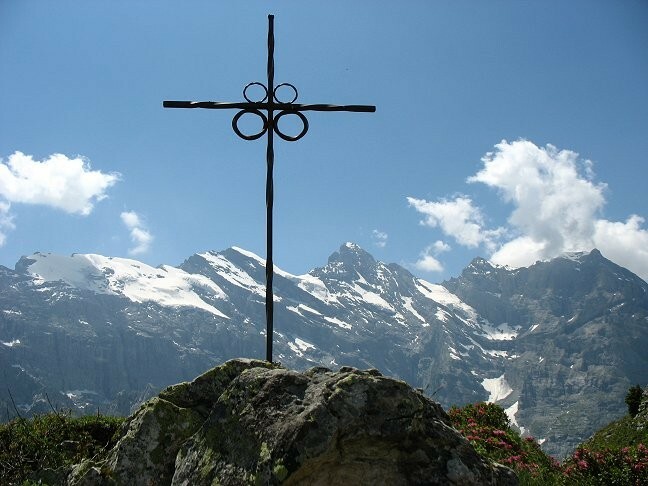 Do not climb Schilthorn on a cloudy day! You won't see anything but a white wall of clouds. 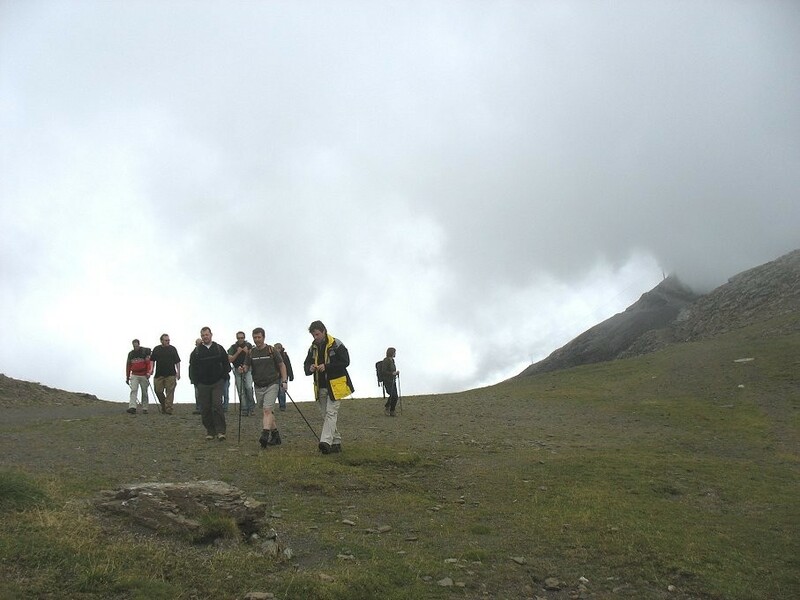 Also, start hiking early, because as it often happens the clouds roll in out of nowhere by mid-afternoon. If it's a hot day, don't forget to bring a jacket anyway, because it's cooler at higher elevations. The rotating Piz Gloria restaurant on top of Schilthorn is not as expensive as one would expect for the location. Good place to get some ice cream. Also, check out the Touristorama underneath the restaurant with it's beautiful slide show covering all seasons and activities of the area, and scenes from the James Bond movie, "On Her Majesty's Secret Service," filmed on Schilthorn. 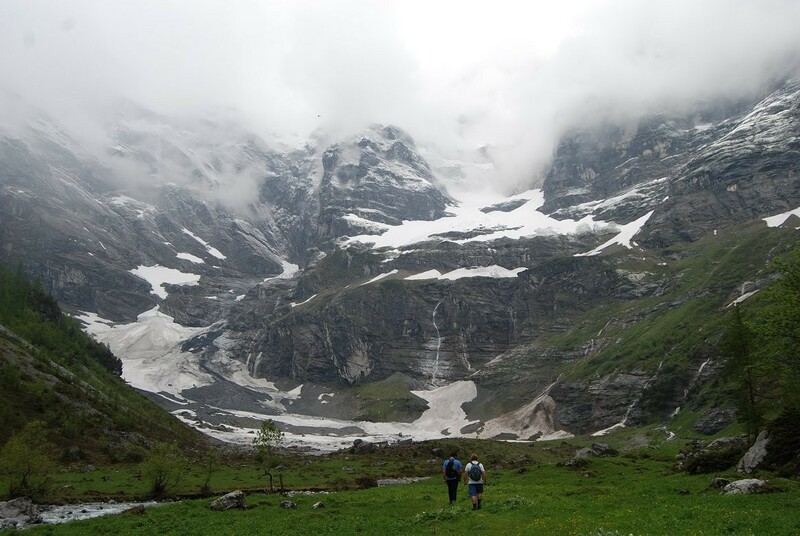 The Oberhornsee hike takes you into a different branch of the Lauterbrunnen Valley, not visible from Gimmelwald, and thus enticing. 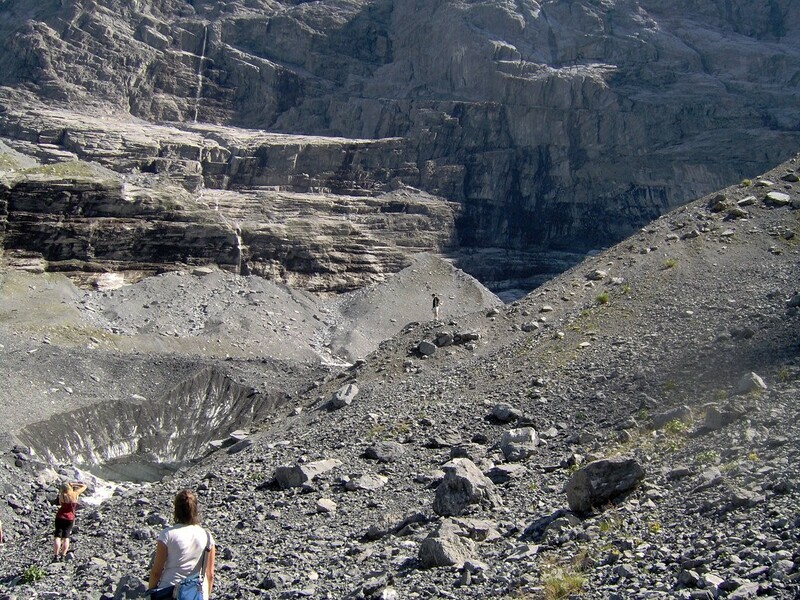 Also, unlike the top of the mountain, this glacier lake is not visible from a distance. 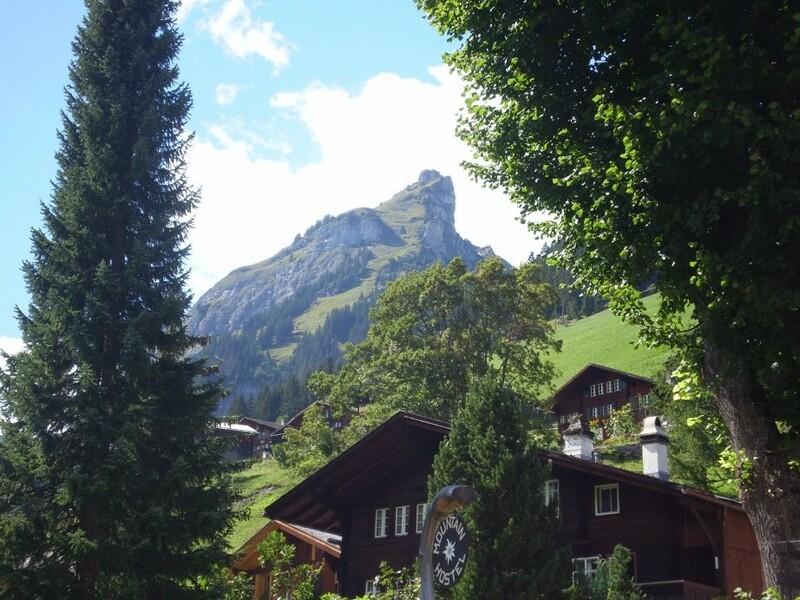 The first half of the hike is exhausting (see Gimmelwald-Tanzbödeli description), but then the path is flat and even downhill until you reach Hotel Obersteinberg--a good place to stop for some drinks and rest a bit. Just in case you are wondering, all supplies to this mountain hotel are delivered either by mules or helicopters. From Obersteinberg it's about an hour hike to Oberhornsee. The water is always barely above freezing. Swim at your own risk. 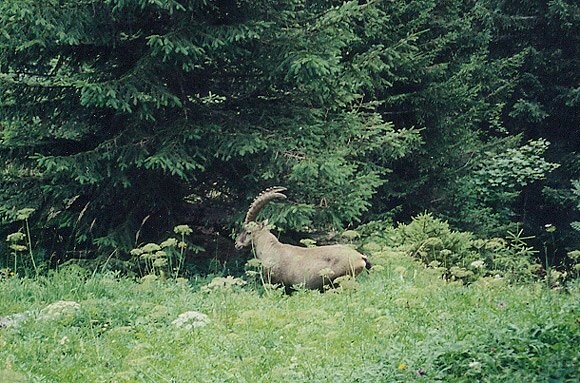 The Oberhornsee hike offers probably the best chance to see a roaming steinbock. If you feel like tackling the only "blue" (read: difficult) trail on the Mürren-Schilthorn area hiking map, then this hike is for you. There is a book to sign once you reach the top, and you can see everyone who had been there before you in the past couple of decades. 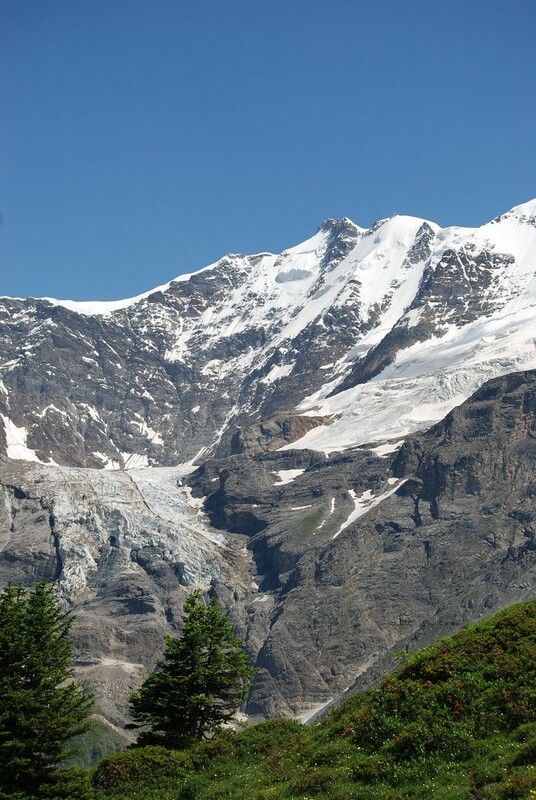 The views are nearly identical to Schilthorn views as Bietenhorn is the adjacent mountain. 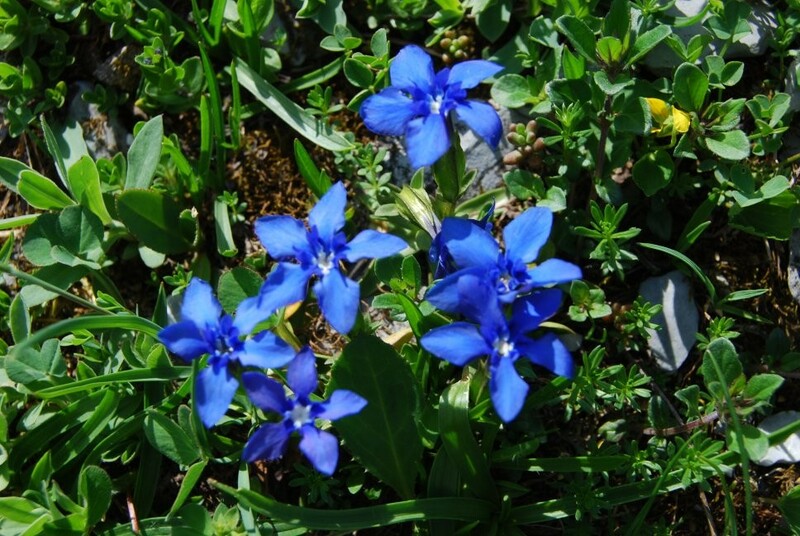 Stop by Schilthornhütte on the way back and ask for Kaffee fertig (coffee with Schnapps) and a chocolate bar. Ummm, good! 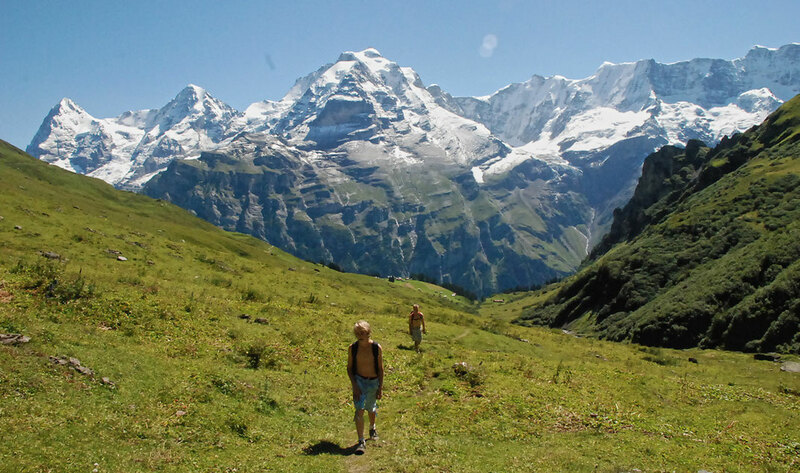 This hike starts rather innocently--a leisurely walk downhill on Gimmelwald's main road. 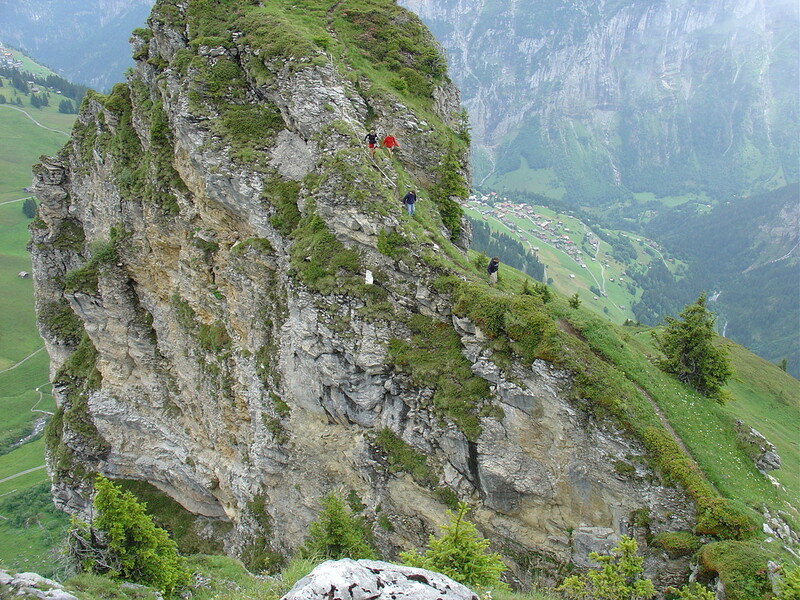 However, what follows is probably one of the steepest stretches in the Gimmelwald hiking vicinity--an exhausting climb for about an hour and a half. What's more, there will be no water on the way, so be sure to take enough with you. You will get thirsty! 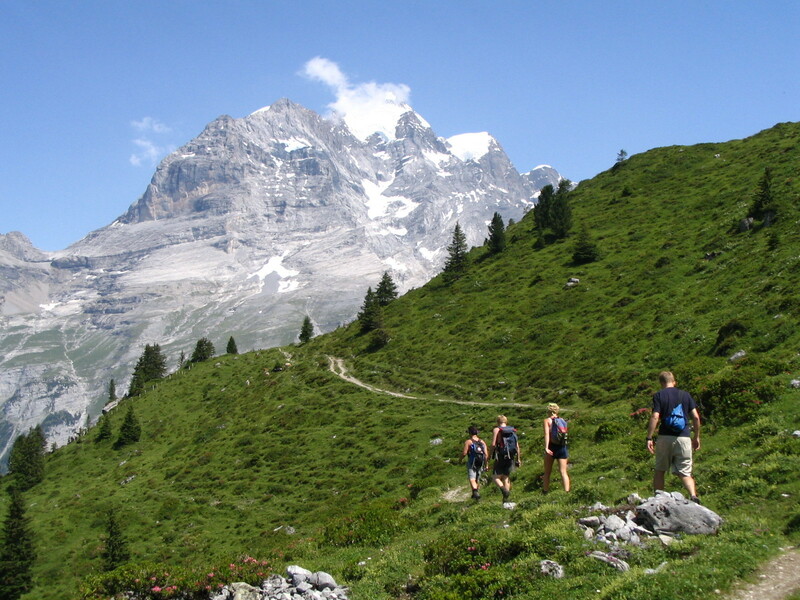 The reward for your sweat is a breathtaking panorama of the Alps. Wherever you look "WOW" is the way to describe it. 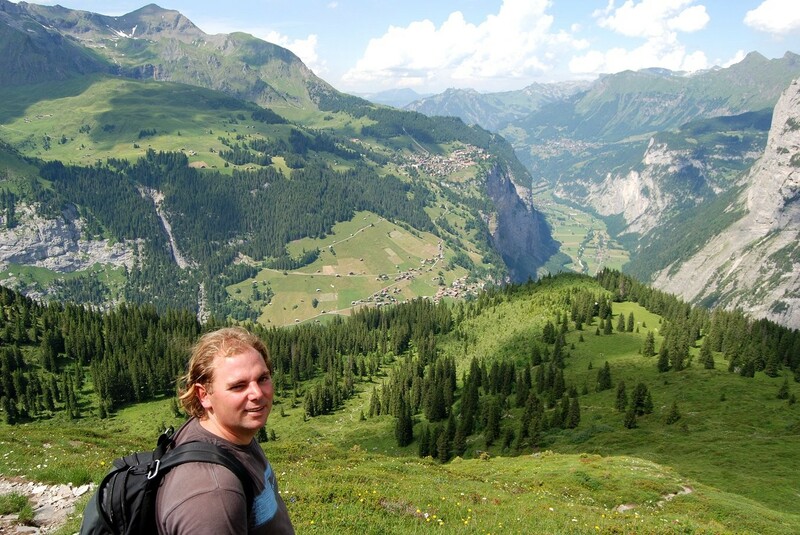 One of the easiest hikes from Gimmelwald that leads you to the end of the Lauterbrunnen Valley where you reach a point where to go any further you would need a mountain-climbing equipment. 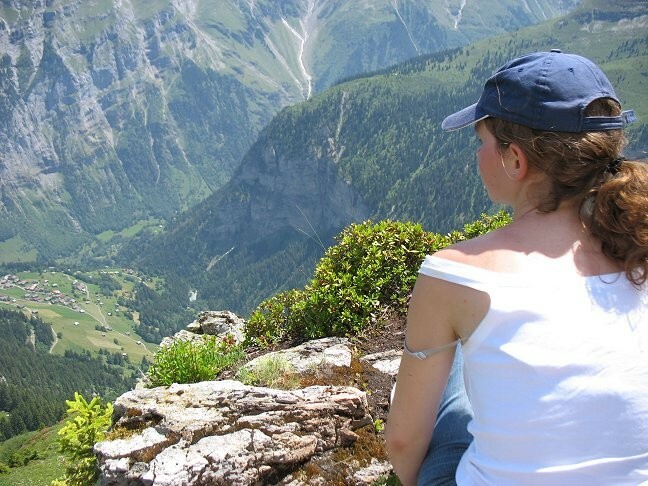 The mountains are in your face, and the views are excellent! One-way is about 1 hr. 10 min. at a leisurely pace, and the path doesn't have any significant uphill stretches. This hike is also good on a rainy day. There is a small cave with a fireplace near Chilchbalm where one can find cover from a downpour (Don't expect wood to be there. Look for wood before you hike to the cave). A great hike on any day where each point can be a final destination. 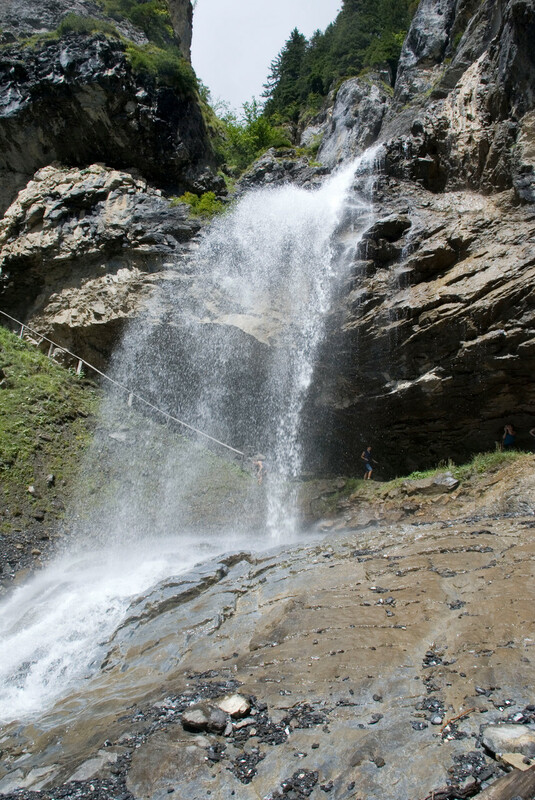 Sprutz waterfall is about 40 minutes up the hill from Gimmelwald. A good place to relax, have lunch and read a book in the woods. 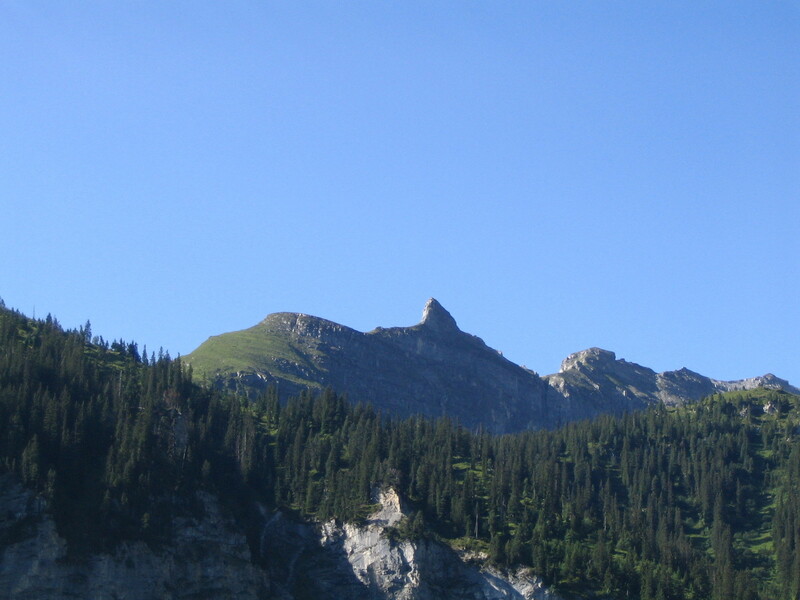 15 minutes further up is the Spielbodenalp hut. 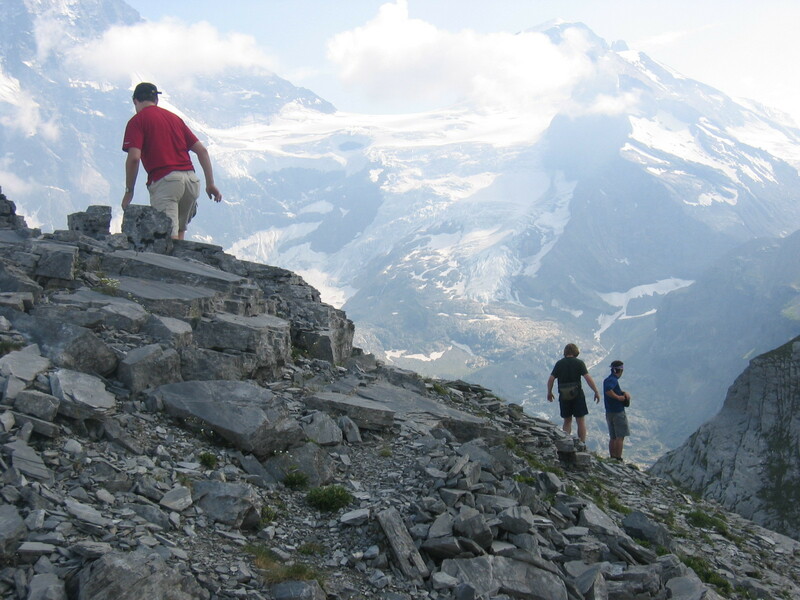 Climbing up for another 40 minutes will bring you to the top of Bryndli with a wonderful panorama of Eiger, Munch and Jungfrau. 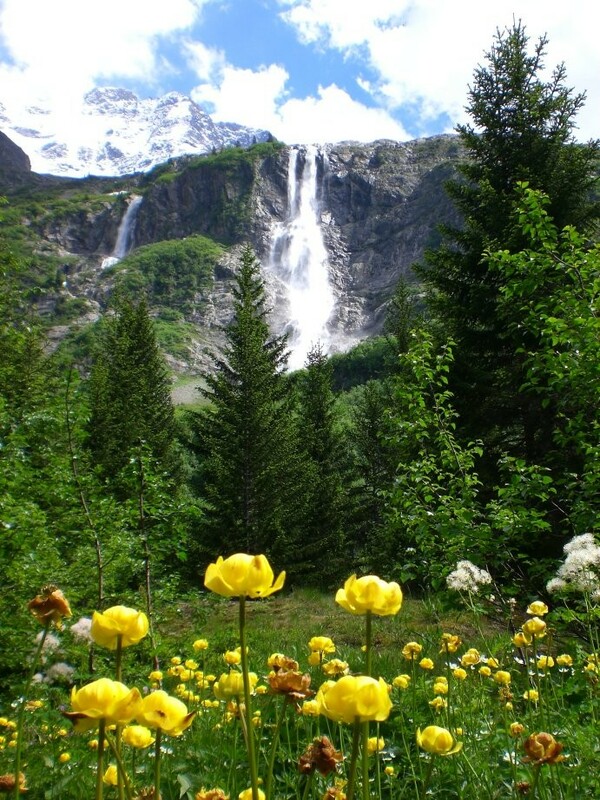 Trümmelbach Falls is located on the floor of the Lauterbrunnen Valley, between Lauterbrunnen and Stechelberg--a series of inside-the-mountain waterfalls. 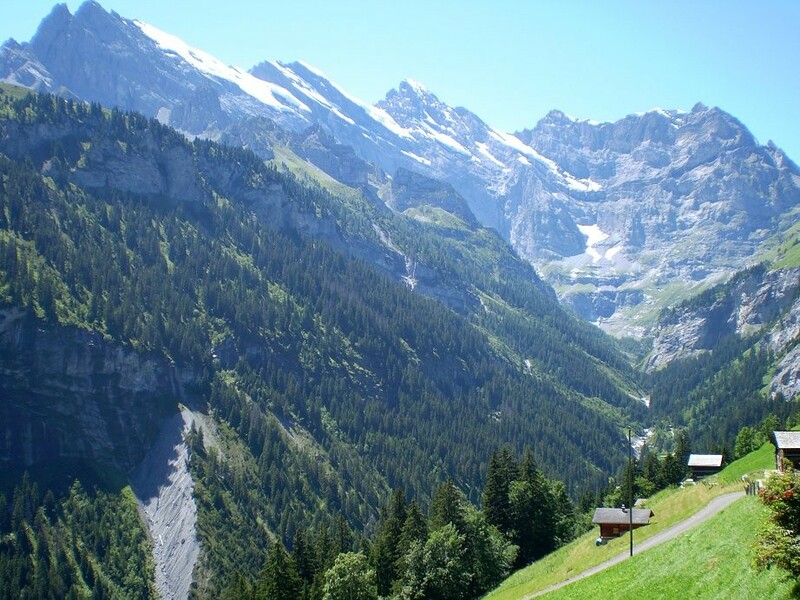 It's about a two-hour downhill to flat hike from Gimmelwald. And you can always cut it in half by taking a gondola down or on the way back up. 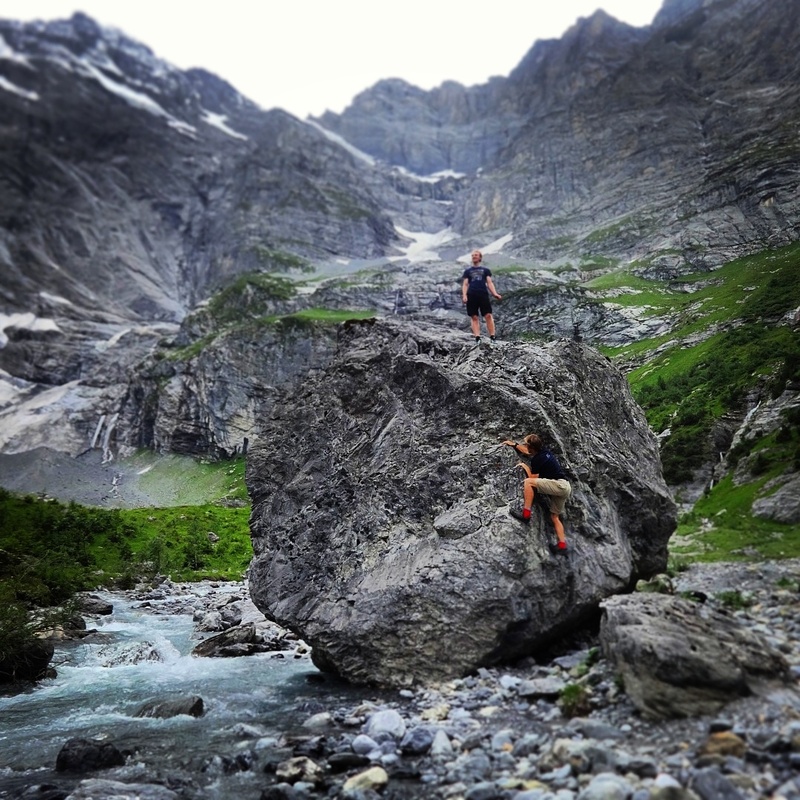 The Trümmelbach alone drains the mighty glacier defiles of Eiger, Monk and Jungfrau. 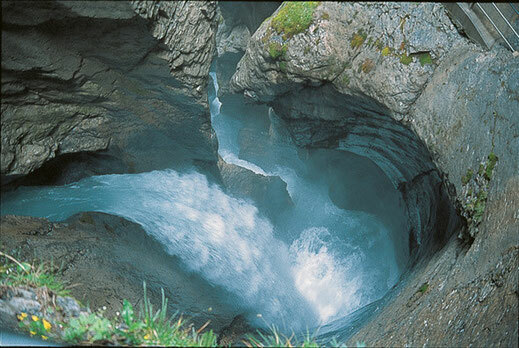 Up to 20.000 liters of water per second. 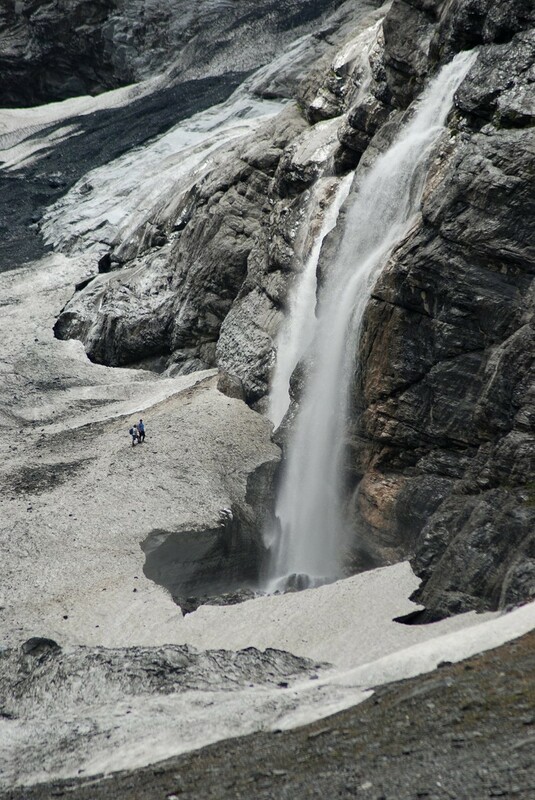 It is the only glacier-waterfalls inside the mountain and still accessible. It's a worthy excursion on a rainy or cloudy day.